These are introductions for tourists about events will be held through four seasons. 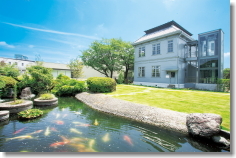 This is an introduction of main tourist places in Tatebayashi city. This is an introduction of major specialty products in Tatebayashi. We, Tatebayashi city, will be very much looking forward to overseas visitors. Tatebayashi city locates nearly in the middle of the Kanto region, where is the east southern part of the Gunma prefecture, called "Crane perform shaped". The spring starts by SAKURA (cherry blossoms) and colorful carp banners. Soon will be colored by Azaleas, Japanese water irises, and Lotus flowers, of beautiful flowers in each season. Japanese traditions of the Fireworks and the Festivals also will be held on a grand scale. Tatebayashi is the closest city to Tokyo among the Gunma prefecture. It takes only about 70km to Asakusa, about an hour by Tohoku highway or Tobu railway so that many people visit here for a day trip place. Take Express at the ASAKUSA station of the TOBU RAILS. It only 60 minutes and very close from Tokyo. Get off at the TATEBAYASHI station, TOBU-ISEZAKI LINE. You can use taxi or city bus at the station. There are sight to see the collaboration of Japanese flower "SAKURA “(cherry blossoms) colonnade, colorful carp banners and paper lanterns. In Japan, there is a custom, which exhibits carp shaped colorful streamers as we wish to have a good growing for boys. About 5,000 of the colorful carp banners are trailed at the 5places in the city. The numbers of the banners were certified on the world record as the most flying carps in 2005. The night time light up also is very gorgeous. About 10,000 Azalea seedlings are in full bloom. Especially 4m height of Old Trees and Gigantic trees of YAMATSUTSUJI (Rhododendron) are unique in the world. The place is specified as a「scenic place」of our country. About 270 kinds of Japanese water irises are in full bloom. During the season, some events, such as selling the Japanese water irises, taking flower husks by flower picking girls, will be held. During the season, it will be operated cruising tours for exploring the Lotus flowers. The Lotus flower meals also will be served in a limited quantity. 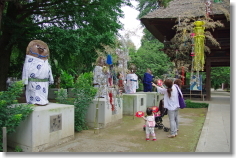 Please enjoy the dance with the traditional folk song, a powerful portable shrine, parade, and so on. It is very powerful called「Tezutsu hanabi」, which is an Arm-hold firework, shoot off by keeping it in your hand! You can also enjoy the big scale fireworks. This temple has folklore that raccoon dog, which turned itself into a teakettle, brought fortune. There are 24 raccoon dog icons on the main approach, and their costumes are changeable depends on the seasons. 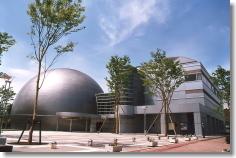 This Science Museum associated with an Astronaut Chiaki Mukai, who is from Tatebayashi. The attraction “Moonwalker” is very popular among children as we could have an experience of the Moon gravity. You can also enjoy a planet world by a digital planetarium, which is the biggest size in Japan. 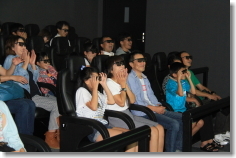 Please enjoy the 4D Films of Tatebayashi flower “Azaleas”. You can experience more realistic feelings through vibrations, mists, winds and so on. Tatebayashi is a famous habitat of wheat. Here introduces how to process from wheat to flour. Hours, holidays, prices are changeable depend on the seasons. 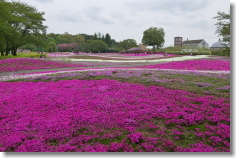 In spring, Moss phlox, Nemophila, Roses are full bloomed. In fall, autumn roses and cosmoses are very colorful. 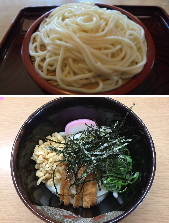 Mugirakugan (Japanese sweets with wheat), Jizake(local sake), Soy source, Udon, Tatebayashi Tsumugi(Local pongee),and so on. Please try Tatebayashi unique local products for your souvenir. English, Chinese, Korean guide map. Download here. Copyright © 2016 Tatebayashi Tourism Association All Rights Reserved.